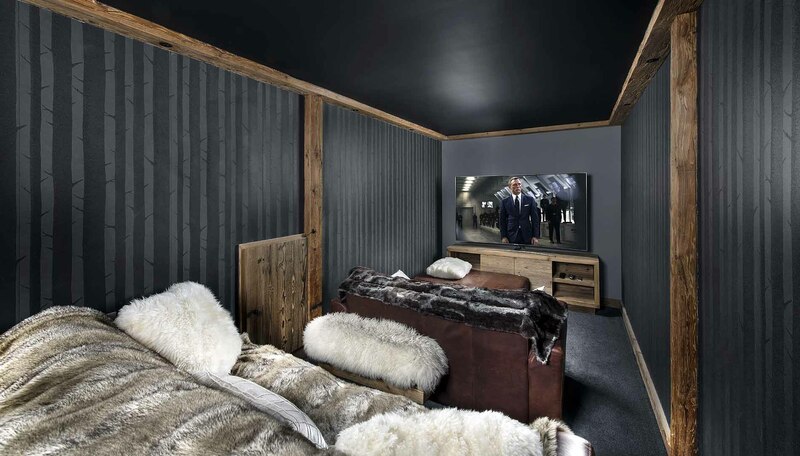 A luxurious 12 person all ensuite ski in ski out Self Catered Chalet over 4 levels with a full spa experience, Home Cinema and designed with every comfort in mind. 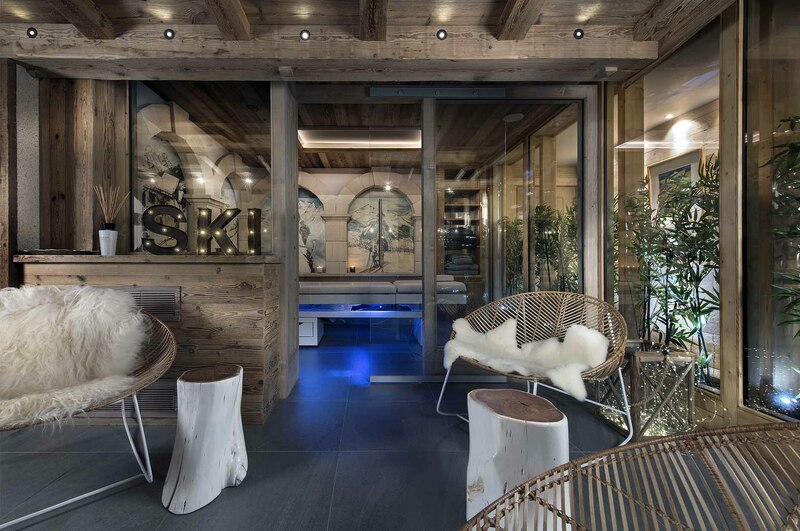 A perfect home from home with every creature comfort you will need for a fantastic ski holiday. 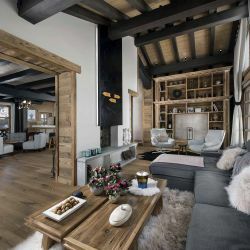 Right on the piste with direct access to Grangettes lift to Courchevel 1850 the large living room has fantastic views and access to a large south facing balcony. 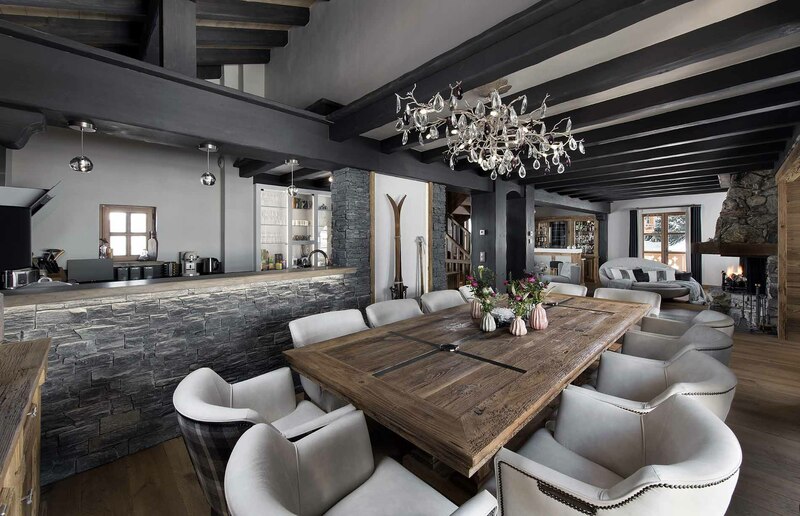 Large open plan lounge & dining area with large fireplace and wrap around balconies. Bar area with comfy seating and bar stalls. Separate fully-equipped kitchen including 2x dishwashers, 2x ovens & Nespresso machine. 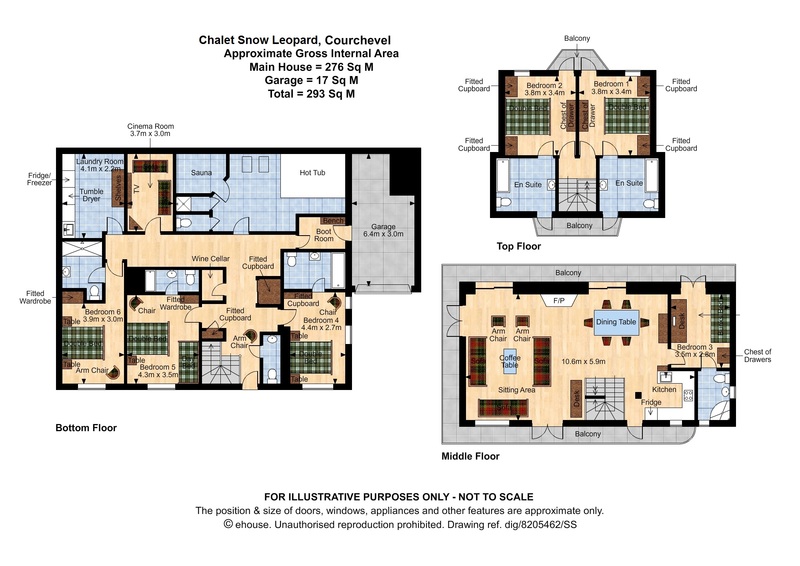 Bedroom 5: Double Room with balcony access, Smart TV, ensuite bath w/ shower overhead, hand basin & WC (bath under eaves). 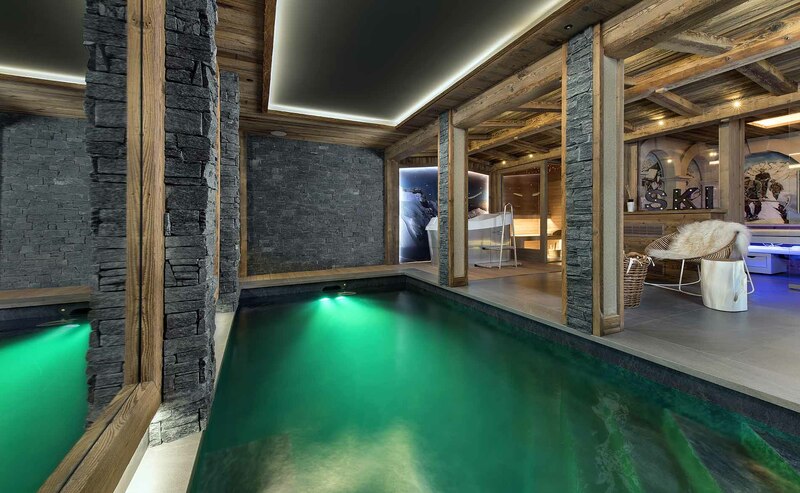 Chalet Snow Leopard in Courchevel 1550, is in a fabulous ski in ski out location just seconds from the Les Grangettes piste. 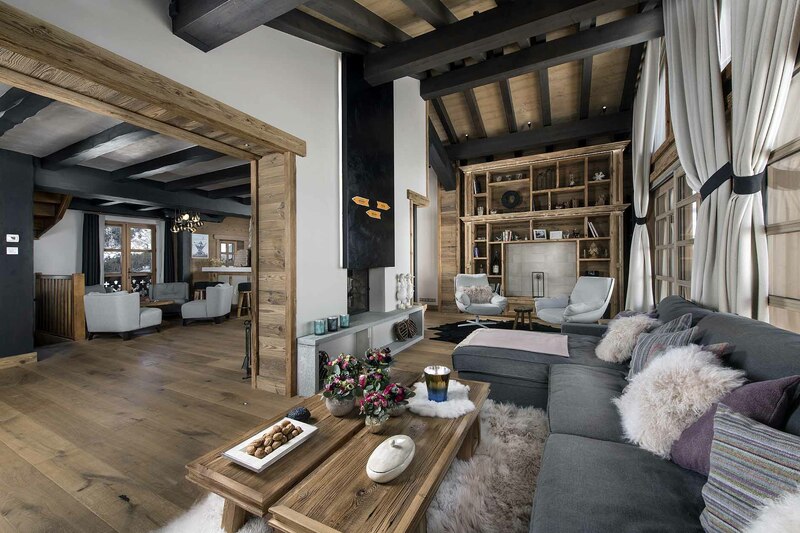 Designed with every comfort in mind, Chalet Snow leopard's lavish interiors make it feel homely and welcoming. 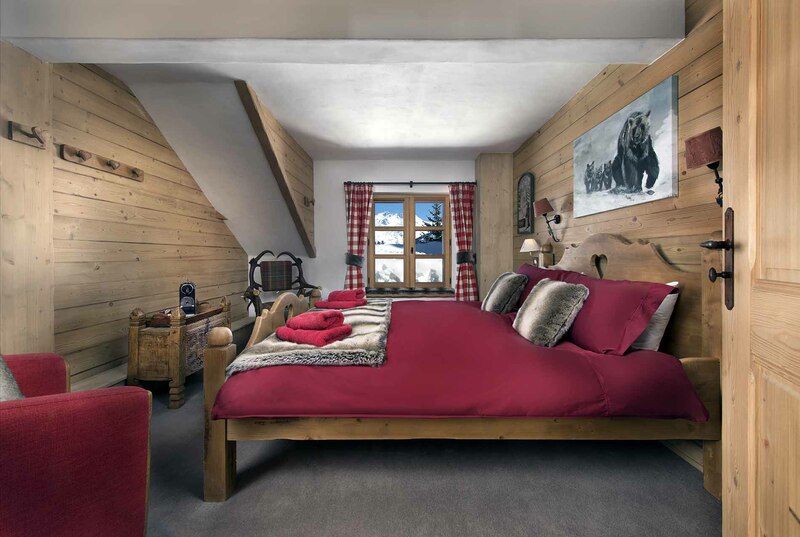 The top floor is home to 2 of the 6 luxurious ensuite bedrooms. These 2 bedrooms have amazing double beds, warm duvets and pillows and a Smart TV (with a selection of satellite channels). 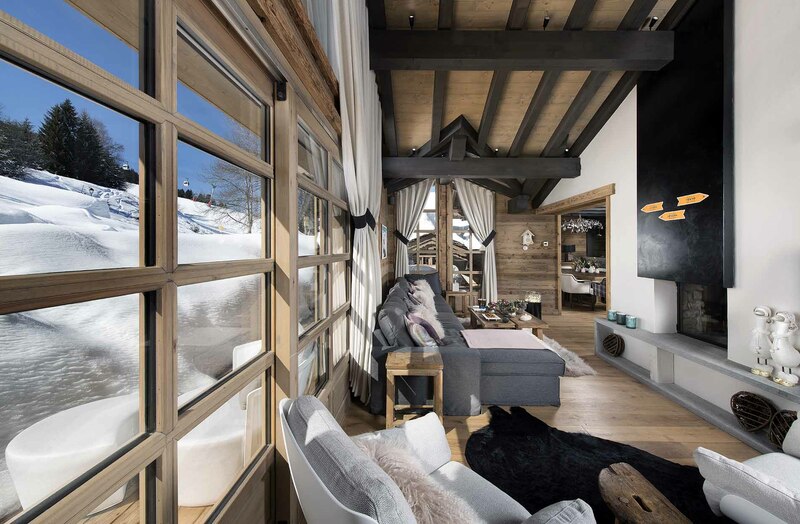 Balcony doors open on to spectacular views of the Courchevel ski slopes. The large open living area benefits from many windows and scenic views and is located on the third level. 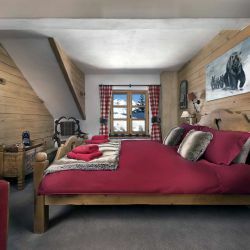 In the heart of the room is a lovely fireplace and there is also access to a large south facing terrace. The large dining table has seating for 12 guests and is serviced by the very well equipped open plan kitchen. On the first floor are the remaining 3 ensuite double bedrooms and the ensuite bunk bedroom including a desk space with Apple Mac computer and printer. 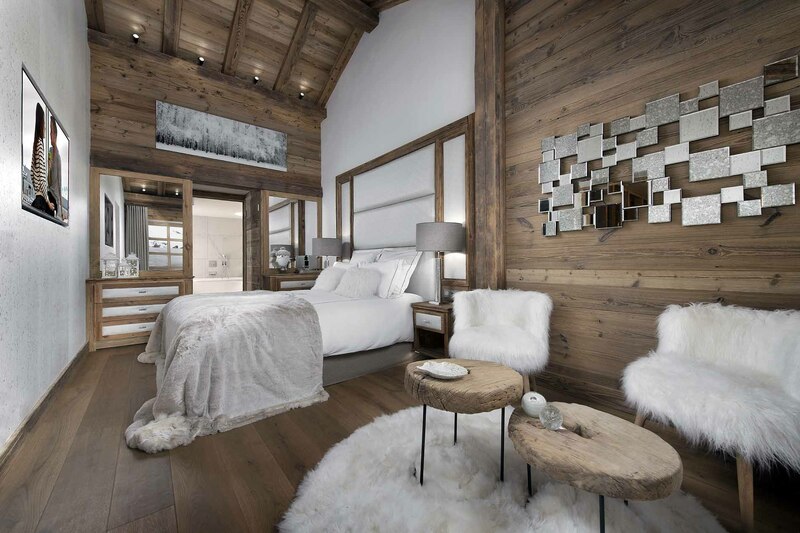 Each room is furnished slightly differently with a range of handmade chests and chairs. 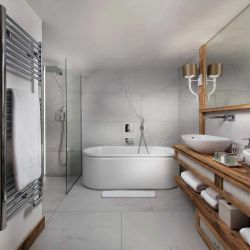 All bedrooms come with plenty of towels and a hairdryer and there is a lovely selection of toiletries and extra touches here and there to make your stay more enjoyable. 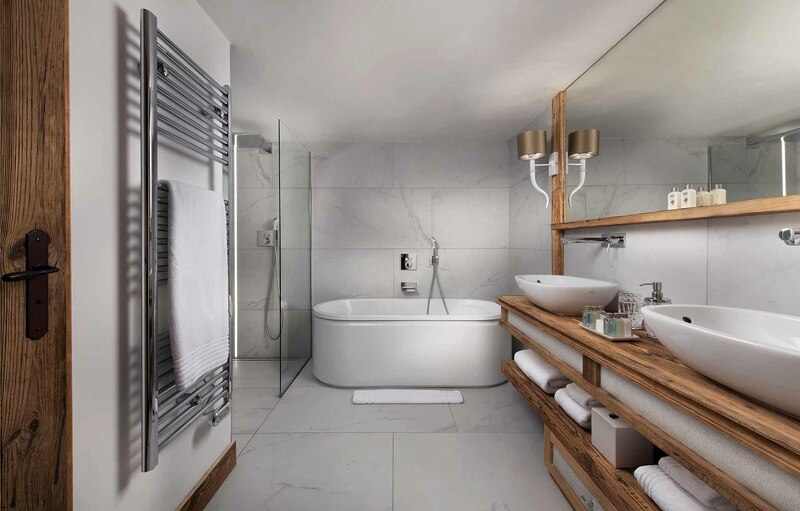 All the ensuites include heated towel racks. 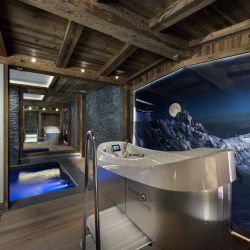 The indoor spa is housed behind glass panelling and this relaxation area includes a swimming pool with an amazing current control feature, Jacuzzi feature and mood lighting. 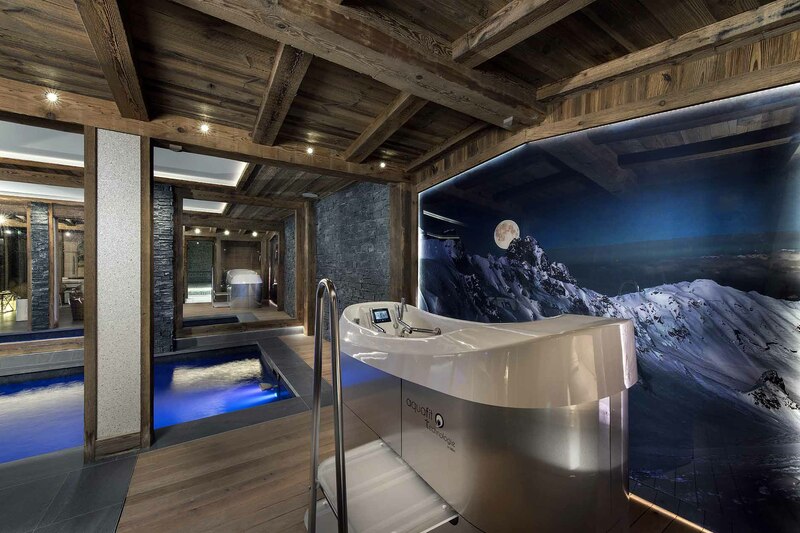 There is also a spacious sauna and hanging ice bucket for the brave! The home cinema is furnished with 2 comfortable rows of seating. The boot room with heated boot warmer allows access into the garage area for storage of skis, etc. 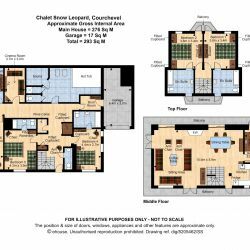 There is parking for 1 car in the garage and also space for 1 car in front of the Chalet. 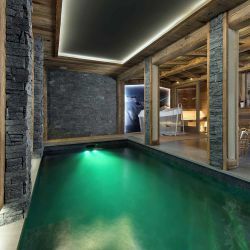 Les Grangettes Telecabine links to the heart of Courchevel 1850 and stays open for pedestrians until 19.30 each night. 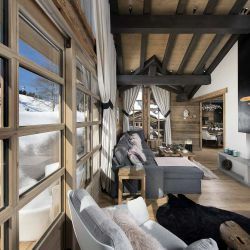 The regular free resort buses stop opposite the chalet driveway to take you to and from all the other Resort areas in Courchevel.